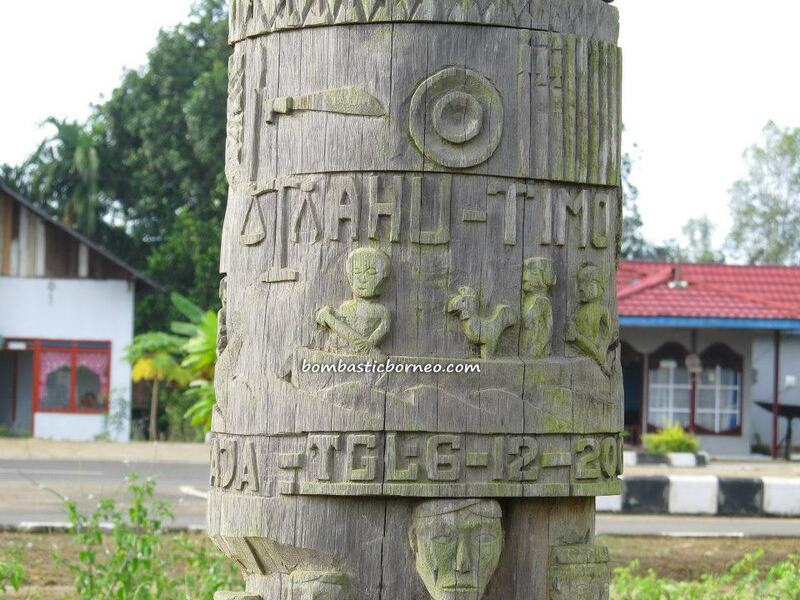 Location : Kecamatan Melak, Kabupaten Kutai Barat, Kalimantan Timur, Indonesia. 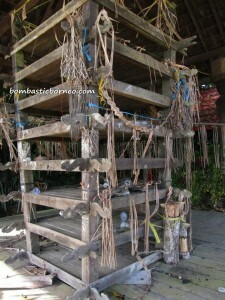 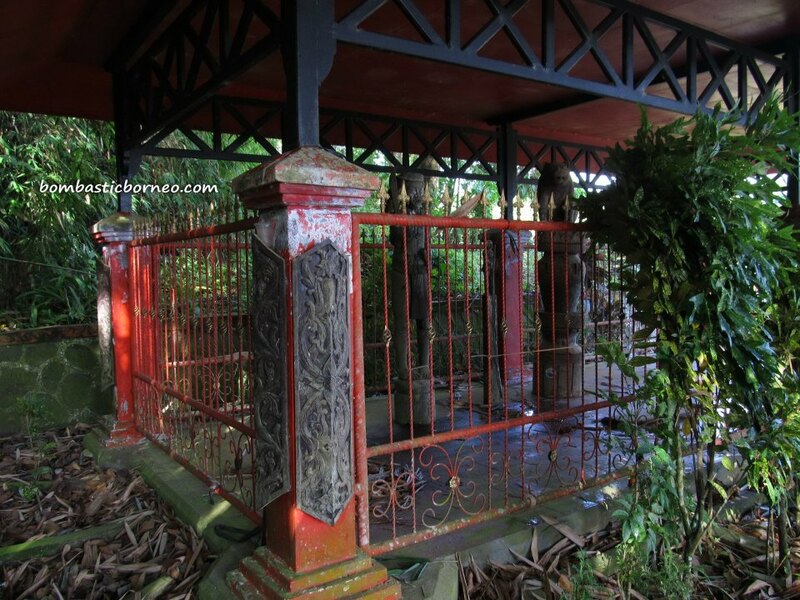 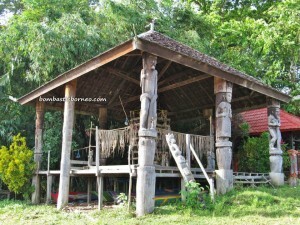 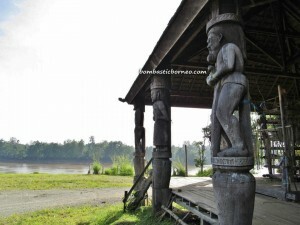 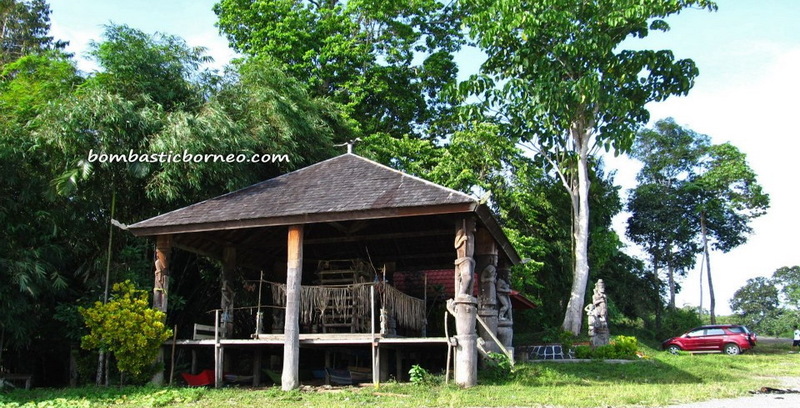 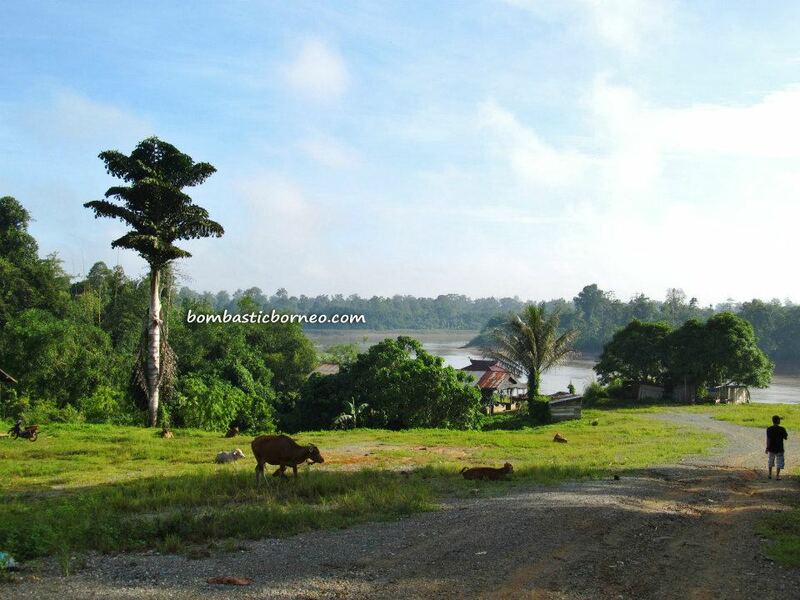 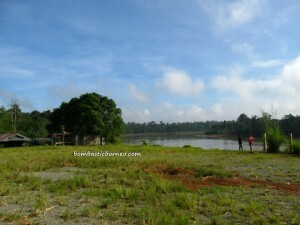 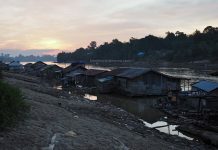 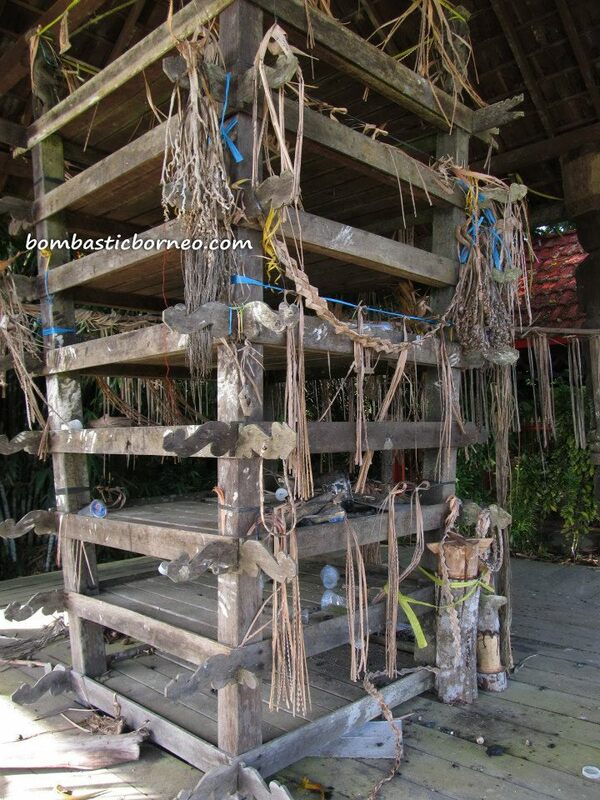 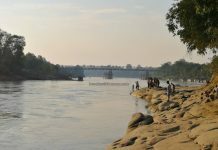 Situated next to the jetty at the Mahakam River this stage is about 15 minutes drive from Melak town. 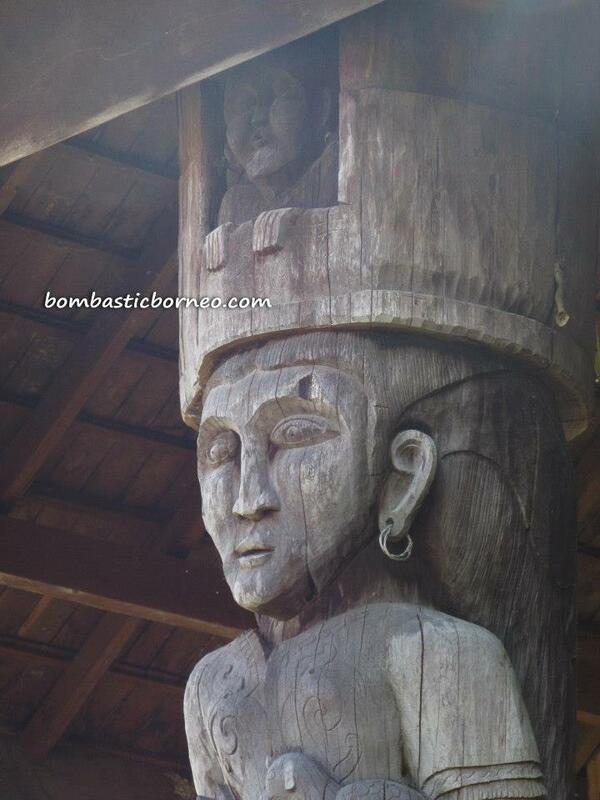 Enjoy the beauty of these giant totem poles. 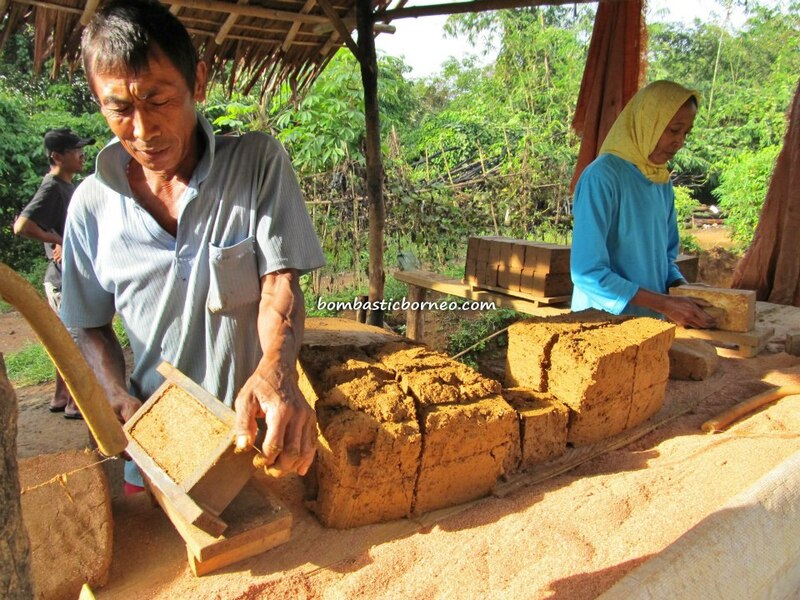 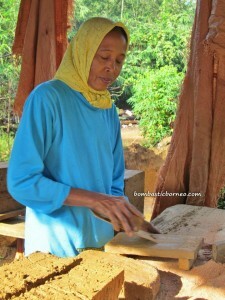 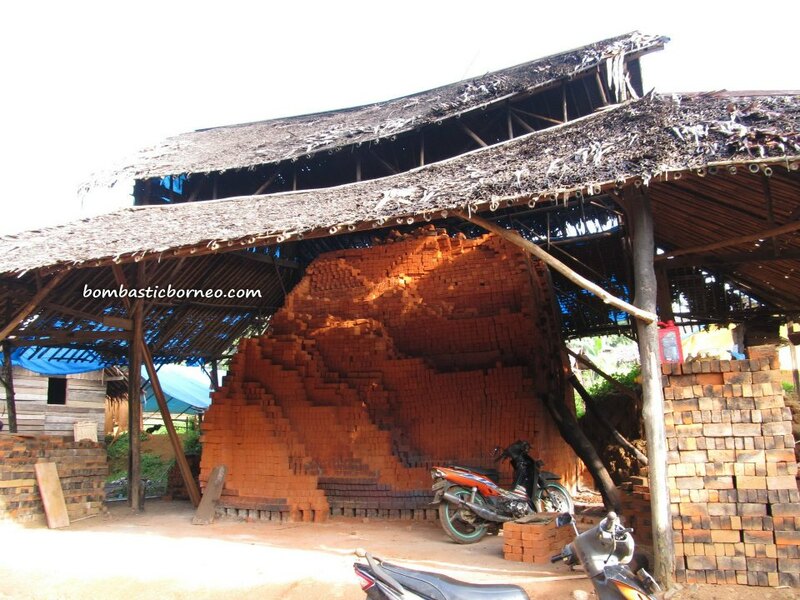 We passed by a brick factory run by a very friendly Javanese couple who took time to explain how they processed bricks. We continued driving for a short distance before arriving at a very huge open space by the river and there stood this magnificent stage with huge carved columns. 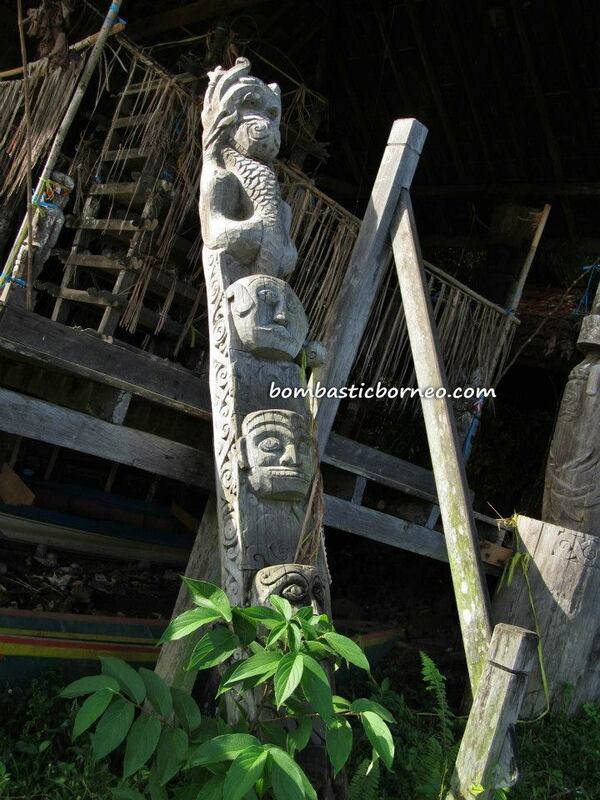 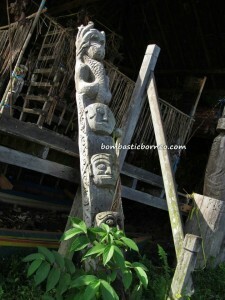 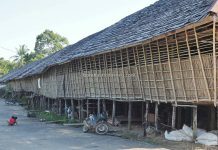 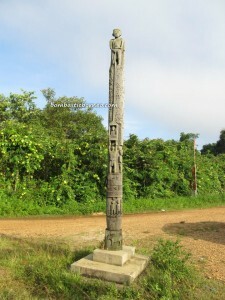 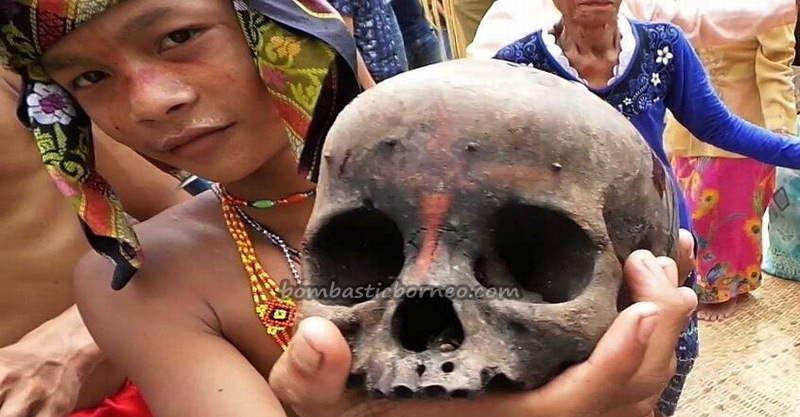 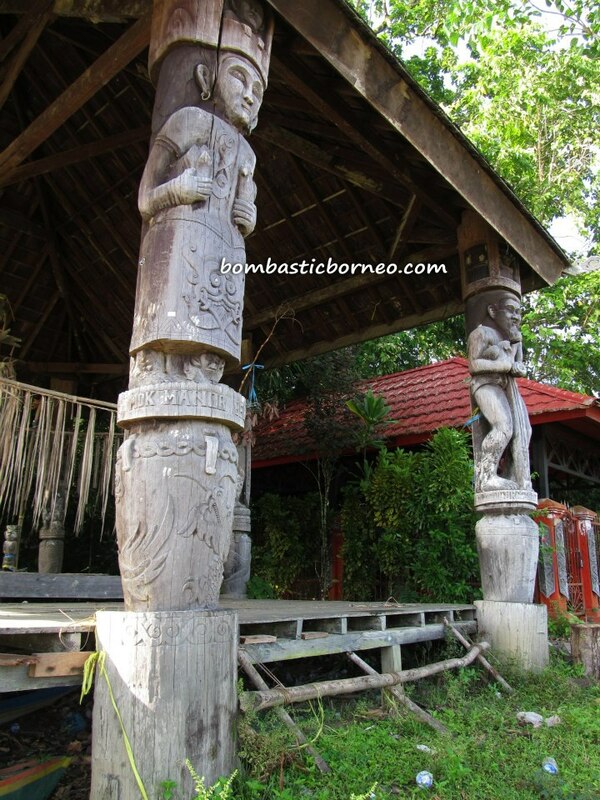 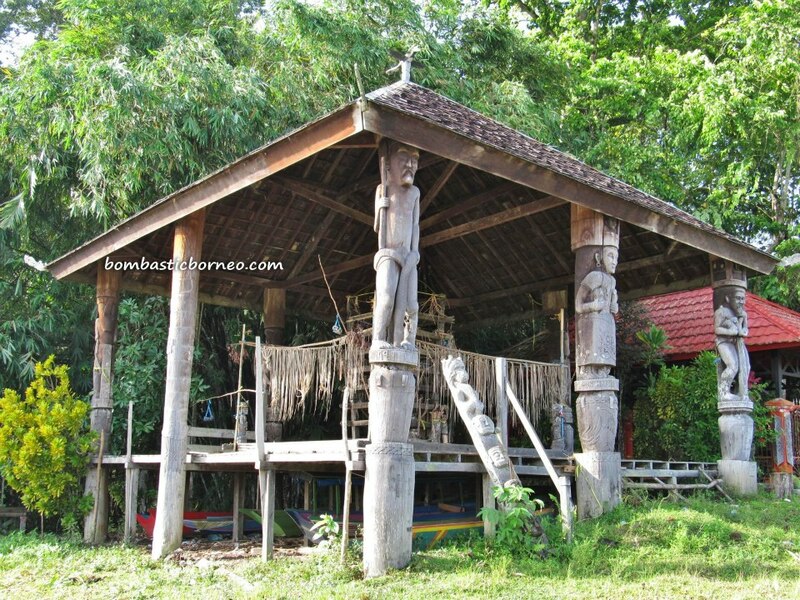 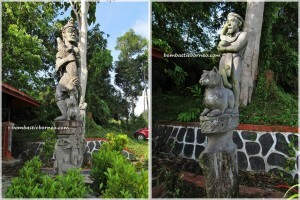 These master pieces carved from belian or locally called ‘ulin’ timber can last forever. 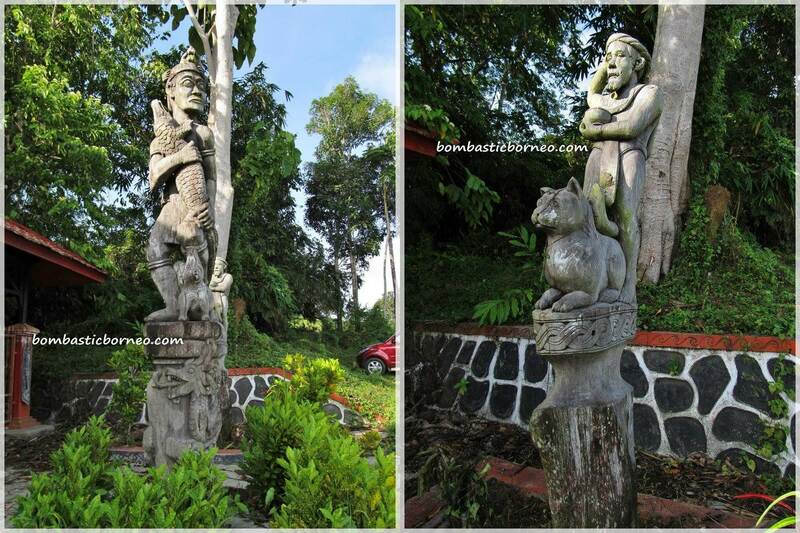 We spent more than an hour here just to admire these giant sculptures.